An Iraq-born gunman died in a shootout with German police early Sunday after killing one person in a nightclub in the southern city of Konstanz, police said, ruling out terrorism as a motive. "The motives of the man who acted alone are unclear," Konstanz police spokesman Fritz Bezikofer told broadcaster N-TV. "We are still investigating but the circumstances surrounding the events at the disco in the evening before the shooting are a bit clearer and this led us to rule out a terrorism background." The 34-year-old opened fire in the club in the early hours of Sunday, killing one person and injuring three others. He died in hospital of injuries suffered in a gunfight with police outside the venue. One policeman was also injured. 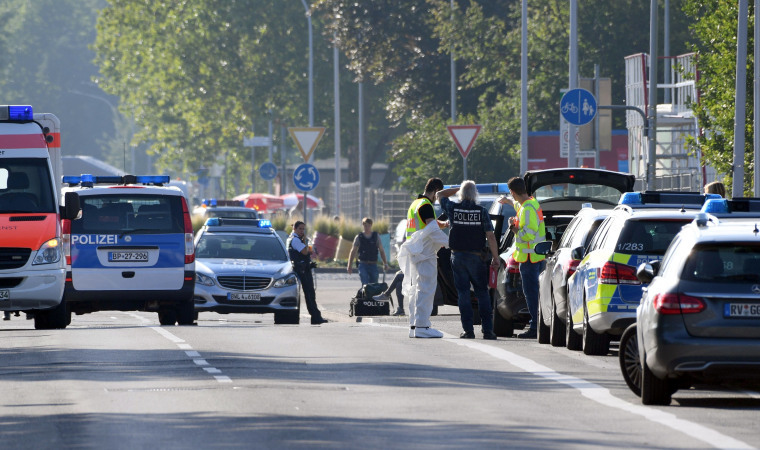 Police said the gunman had lived in Germany for a number of years and was not an asylum seeker. They added that a dispute among criminals may have led to the shooting in an industrial area of the city. Police special forces were deployed in the city in the aftermath of the shooting as it was not clear if the suspect had acted alone or had accomplices. On Friday, a failed asylum seeker killed one person and injured six others in the northern city of Hamburg. Officials said he was an Islamist known to security forces and he was psychologically unstable.